It was a land where nothing was small, nothing was simple. Everything, the lives of men and the stories they told, ran to extremes. Shanghaied into forced labor on a merchant vessel, Charles Rodney dies aboard ship from repeated beatings—but not before deeding part of his ranch to Rafe Caradec, whom he hopes will protect his family. 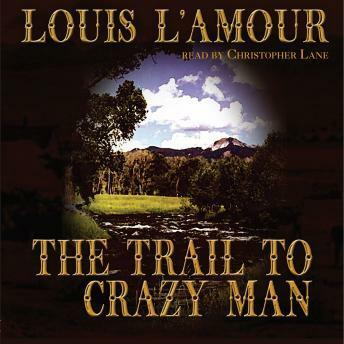 The Trail to Crazy Man is one of Louis L’Amour’s finest short novels, originally serialized in early “pulp” Western magazines, now offered again in book form in response to widespread interest among L’Amour’s many fans.